Seattle’s Barsuk Records has a long history of releasing records by very good indie rock bands and the opportunity to see three bands from their current staple was an opportunity few people in the know would ever turn down. 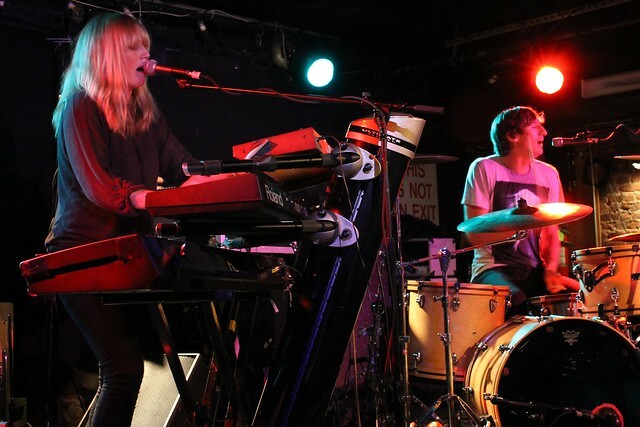 The triple bill of Mates of State, Cymbals Eat Guitars and Yellow Ostrich made for an eclectic mix of bands at different points in their careers and an interesting pastiche that represents the kind of bands Barsuk has supported for almost two decades. 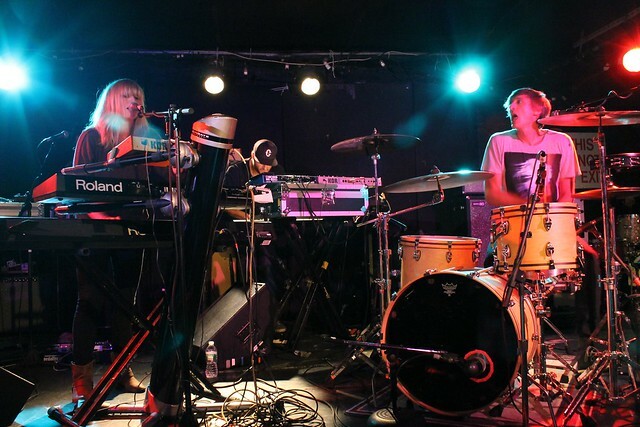 The show was kicked off by newcomers Yellow Ostrich, a three piece whose early experimentation on their three 2010 EPs were reminiscent of Grizzly Bear. At this showcase they performed a mix of old material and songs from their just-released album, The Mistress. Lead singer Alex Schaaf has an almost plaintive style that lends many of Yellow Ostrich’s songs a sense of longing. 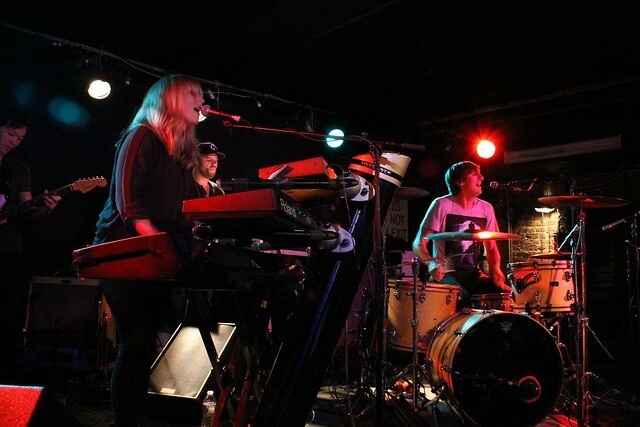 The use of vocal repetition amplifies their best songs often cyclical rhythms, as in the case of songs “WHALE” and “Campaign.” “Fog” takes on a haunting, almost spiritual, ambiance as Schaaf’s arching vocals fade patiently into a cascading crescendo. At points it was hard to believe the band has only three members yet there they were. 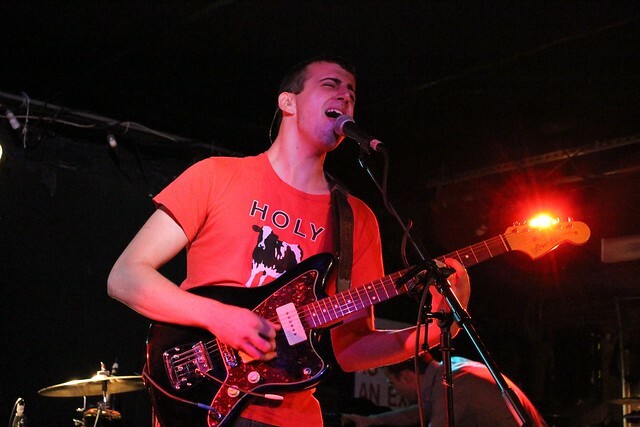 We are a big fan of Cymbals Eat Guitars 2009 debut album, Why There Are Mountains. Personally, if you took the music that has most influenced my life, and if I was a remotely talented musician, Cymbals Eat Guitars would be the best case I could ever hope to become, and that odd sense of kinship means I find them a highly appealing, young rock band from an increasingly rock and roll fertile New Jersey. Live, the band skews more towards the type of instrumental noodling that I occasionally grow impatient with, but when they get humming Cymbals Eat Guitars is one helluva young band. A soaring rendition of “Rifle Eyesight (Proper Name)” was a particular high point as the waves of noise came crashing to a resounding conclusion. New song “Shore Points” showed off the bands preference for unorthodox song structures; they often eschew hooks for more measured, progressive, and interesting arrangements that seem to thicken and congeal before they explode into arching vocals over momentarily silent instruments. How quickly the band has gotten this good is impressive. 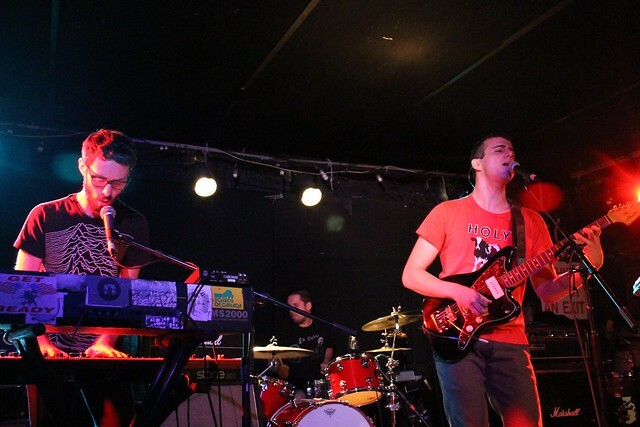 Along with bands like Titus Andronicus, The Gaslight Anthem, and Delicate Steve, Cymbals Eat Guitars’ willingness to make interesting music indicates something of a renaissance for New Jersey indie rock and roll. The band has yet to fully realize the their potential as a live band and some of the nuance of their records is lost when they perform live, but those are quibbles in what was a very impressive performance from a very talented band. Their just released sophomore effort, Lenses Alien, is well worth a listen and be sure to check them out next time they come to your town. Compared to debutantes Yellow Ostrich and relative newcomers Cymbals Eat Guitars, Mates of State must have felt like the old hands. Led by married couple Kori Gardner and Jason Hammel, the upcoming Mountaintops is their first album since 2008’s Re-Arrange Us. The band still packs a rollicking punch live and they were perhaps unsurprisingly the most polished performers of the showcase. Mates of State engaged the crowd (confession: Hammel asked me what I was writing in my notebook) far more effectively than Yellow Ostrich or Cymbals Eat Guitars, and their performance felt far more like a set than a handful of songs. The infectious pop-music that has made Mates of State a fairly successful band since their first album a decade ago is still very much evident and they don’t stray much from the formula of upbeat, sing-songy harmonies over boppy instrumentation. “Maracas,” a slight departure for the band, was a standout among the new songs performed. 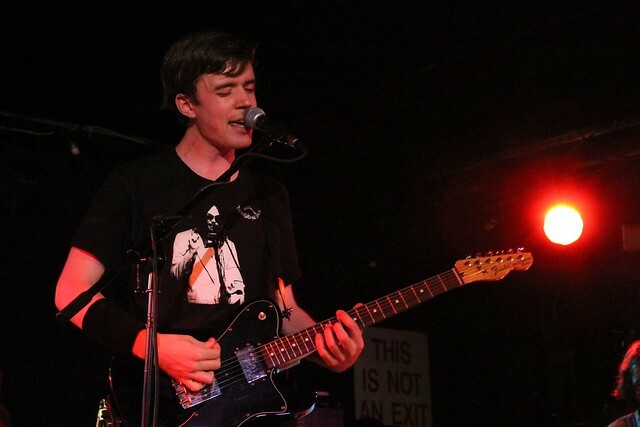 To their credit, Mates of State adds a fifth gear when performing live that isn’t always in evidence on their records and there was nary a person not moving along as they bounced through their songs. Some might find the relentless good vibes a bit cloying, in fact many have said as much, but the band’s joie de vivre when on stage is impressive and enjoyable in a way reminiscent, to this reviewer, of Cloud Cult, another band who can turn occasionally bland material from a record into transcendent live experiences because of their energy and genuine enthusiasm. In other words, Mates of State is the kind of band you want in the late-afternoon slot at your local weekend music fest. Some great bands can deliver real snoozers–I’ve watched people literally wander off four songs into a Spoon Festival show out of boredom–with Mates of State, that will never be a problem.